4 Italian Restaurants in Phoenix To Carb-Load For Your Next Race! If you’ve been following along for a while, you’ll know two things about me: I am Enthusiastic About Food AND I am Enthusiastic About Running so naturally I love Italian food. Two years ago, I ran my first 5K and two months ago, I ran my first full marathon! Running a 5K and a marathon are two very different things, and getting from a 5K to a marathon teaches you a lot. 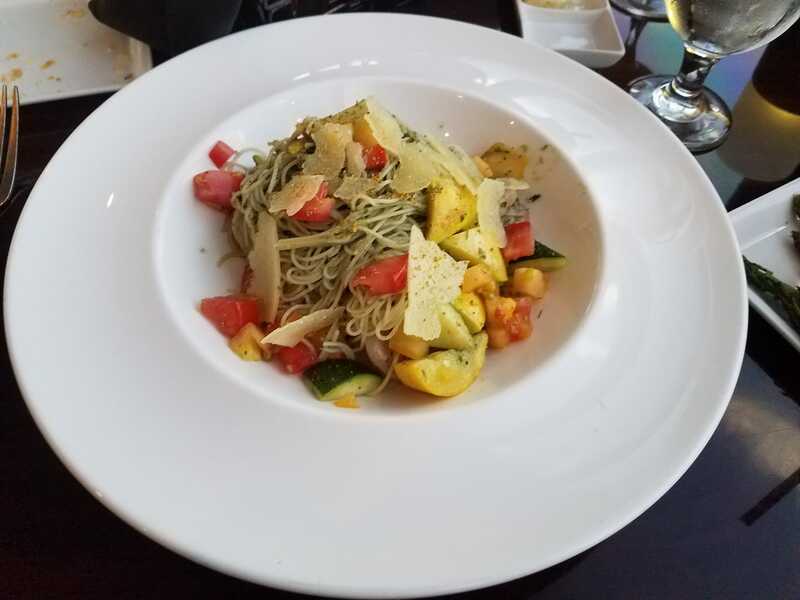 One of the biggest lessons learned was that it is so necessary to carb-load so today let’s talk about what that entails and where you can find the best Italian restaurants in Phoenix to do just this! Carbohydrate loading, also known as carb–loading is something used by endurance athletes (in this case, runners) to maximize the storage of glycogen (or energy) in the muscles. Glycogen is a substance deposited in bodily tissues as a store of carbohydrates. Our body can only store about 2000 calories of glucose as glycogen and since this is about the same number of calories burned while running long distances, our bodies start to get tired and lose energy. This is why we carb-load, to store glycogen for when we would usually run out of energy. So, what you basically do is eat a lot of carbs a few days before your race so that during the race you don’t tire as easily. I’ve done runs without carb-loading and I can tell you that you can definitely feel the difference. When I haven’t done it, I’ve been more tired and it took me a lot longer to recover. Plus, you don’t have to convince me to eat pasta, I love it! Check out four of my favorite places to carb-load in Phoenix, in no particular order! Enjoy! La Bona Pasta is a super cute little place with delicious food. 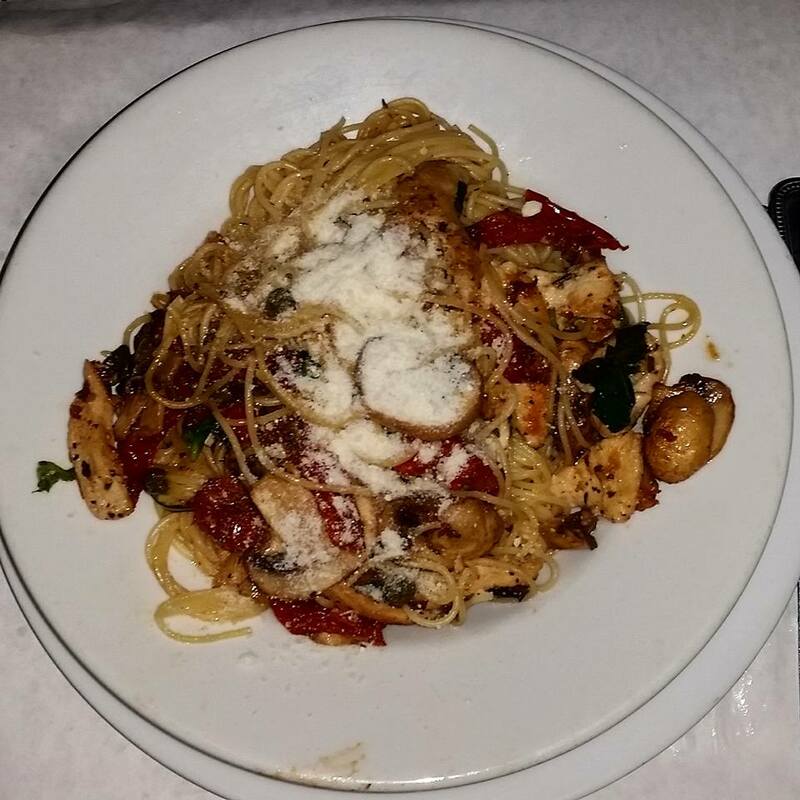 I had the grilled chicken with the angel hair pasta and it was so filling. I like to have some sort of pasta and a protein before my race. It always helps if there are vegetables as well! 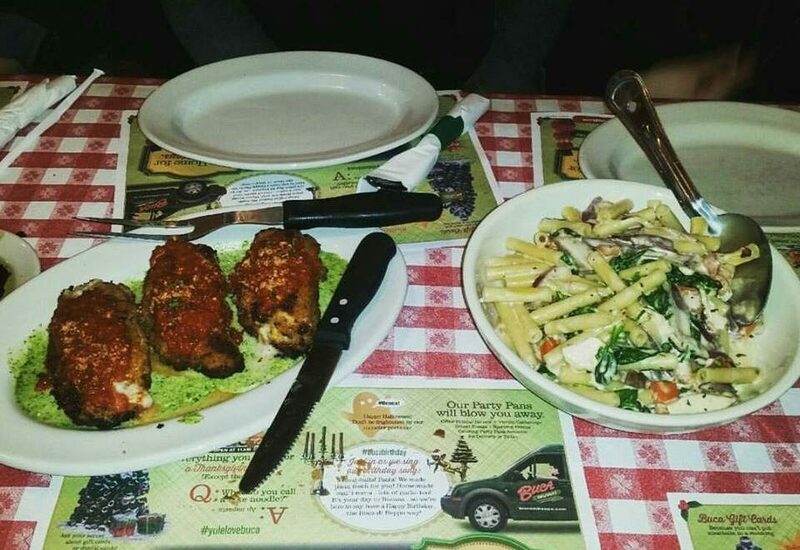 If you are running a race with friends then Buca di Beppo Italian Restaurant needs to be your spot to carb-load. Not only is it delicious, but everything is served family style and you share with everyone. I had the Prosciutto Stuffed Chicken Breasts and my sister had the pasta so in one meal I got pasta and a protein! 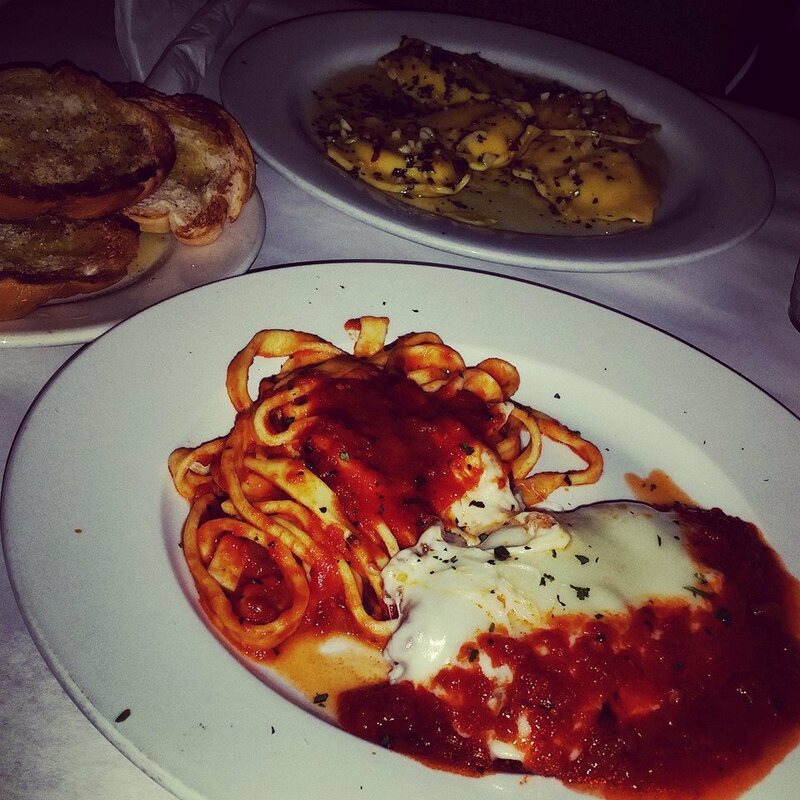 Giuseppe’s on 28th is hands down one of my favorite Italian restaurants in the valley. It is super authentic and delicious and they have HUGE portions. Their pasta is homemade and perfect for carb-loading! Also, the owner is super friendly. Guy Fieri was right, this place is dynamite! Compass Arizona Grill is great for carb-loading but it’s also perfect if you’re trying to admire some beautiful views while you eat. It is the only revolving roof-top restaurant in Arizona and rotates slowly to showcase amazing views of the Phoenix area. The pasta was delicious but what really sold me was the fresh Parmesan sprinkled on top! I hope you enjoyed the list, stay tuned for a part two because there are just so many delicious Italian restaurants in Arizona! If you’d like more inspiration, check out the Italian section of the Food Bucket List! Thank you all for reading, and stay enthusiastic! < Previous 9 Photos To Inspire You To Visit The Dells in Prescott! Next > 4 Cathedrals To Visit On Your Next Trip To Europe!